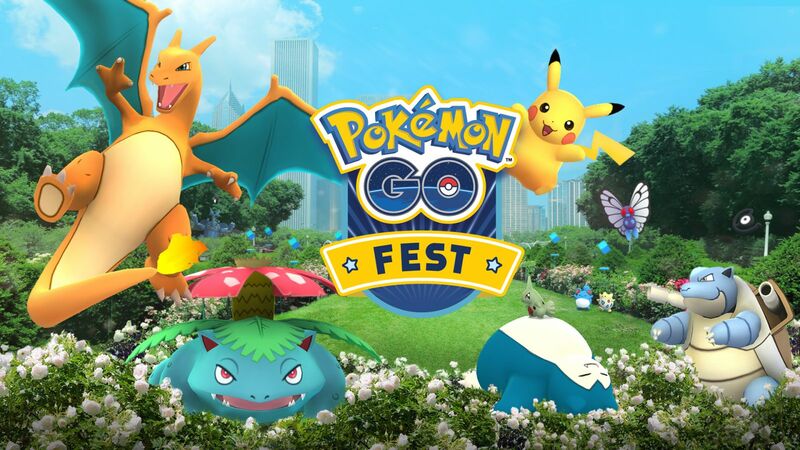 GO Fest is coming up with great steps and the event map shows some details about the event. The event that will take place in Chicago is the first such Pokemon GO event. The outdoor event under the auspices of the game maker itself will bring together trainers from around the world. According to the Niantic itself, players who do not appear there will not be on the ice, but maybe we can envy the current trainers there. Yesterday's GO Fest map has been revealed, along with the permit Niantic received from the city of Chicago to host the event. This gives us more information about how the event will look and what attractions the players will find there. Recall that the whole event will take place at Grant Park. According to the map each team will have its own allocated space, which will be in one of the 3 corners of the main area of the park. Six 60-inch monitors will be in every so-called. Team Lounge and a Gym Video Pillar will be located at its front. The Petrillo Music Shell will serve as the main stage that called Ultimate Gym. This scene is located in the fourth corner of the park. There will be a huge screen that will fit on the aforementioned special gym. If some unusual Pokemon is to be released on the GO Fest, it will most likely be right there. This is a great chance to fill in some gaps in your Pokedex. Many special PokeStops in the park have been designated as PokeWalk, which will be held during GO Fest. It is a mini-event devoted to common integration and during its duration the trainers traverse the course set by the organizers with walking shoes. At the end of the day they receive special 2 km Eggs. We do not know yet whether Niantic will add additional PokeStops for this purpose. The entire route is also not covered by WiFi coverage - only in selected locations such coverage is. According to the permit Niantic got from the Grant Park, its Butler Field can accommodate up to 20 thousand participants. The spokesman of Niantic confirmed that the event will not sell alcohol despite the fact that the permit itself from the authorities allowed it. • There will be no rides, climbing walls, lifts or other forms of activity.